Our recessed lighting expertise knows no bounds and has no limits. We can wow you with recessed lighting installation service that’s thorough, detail-oriented and efficient. When you need recessed lighting service from a certified and experienced electrician, we can tend to you. Recessed lights can work well in many parts of the home. They can work well in family rooms, bathrooms and kitchens. They can even work well in hallways. If you’re looking for lighting that’s both flattering and strong, few things can compete with recessed lights. Recessed lights can do wonders for people who have concerns about dim lighting conditions in their bathroom showers. 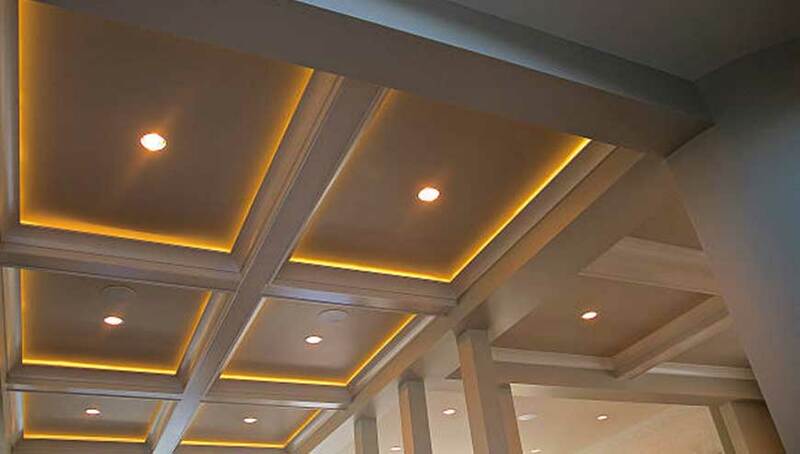 Recessed lights can even come in handy in playrooms, offices and garages. Some people even choose to install them on their porches or in their garages. You don’t have to worry about your specific ceiling type, either. We regularly install recessed lights onto both sloped and high ceilings. Our recessed lighting work can contribute to home environments that are soothing and pleasant. If you’re looking to accentuate the most beautiful elements of your living space, recessed lighting may be the easy and convenient solution. These lights are a great combination of affordable and dependable. You can even customize them.